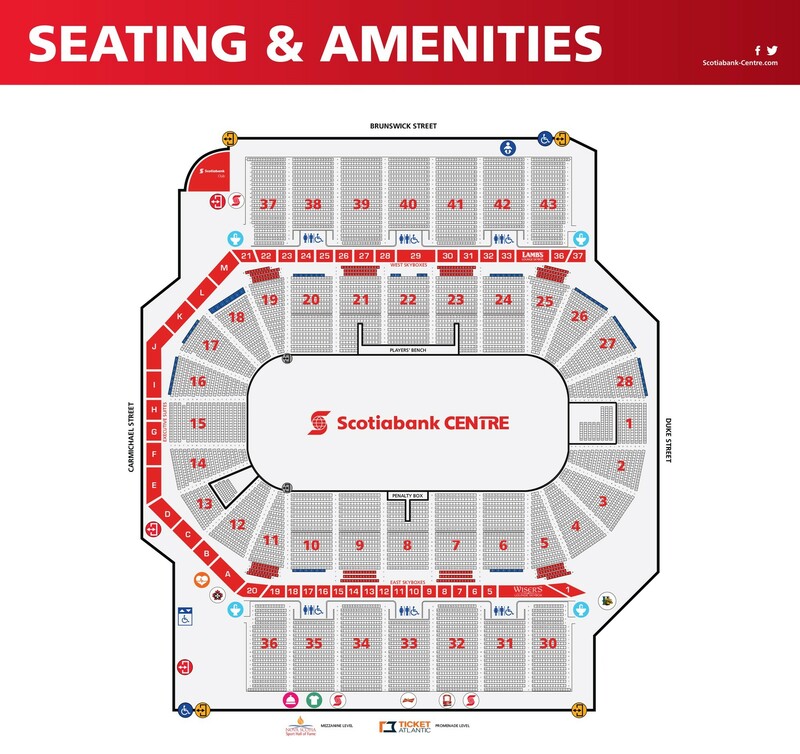 Download our Amenities and Concessions Maps. Getting to our facility is easy whether it’s by bus, ferry, or car. We are conveniently located in the heart of downtown Halifax at 1800 Argyle Street. Downtown Halifax is booming with sights and attractions for you to enjoy pre or post a Scotiabank Centre event. Make a night (or day) of it by having a delicious local meal and or staying in the heart of our city. We've made a helpful A-Z Guide to enhance your guest experience!